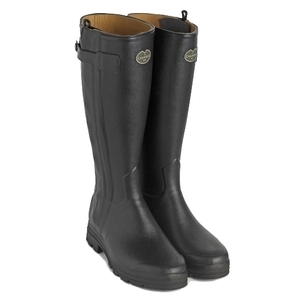 Le Chameau Chasseur Cuir Wellingtons. Famous by the name of zip boot since 1970, the Chasseur provides unparalleled comfort courtesy of its adjusted fit, its choice of 10 calf fittings and its fine leather lining. Leather lining colour did not match but was a reduced item. Proofing was also visible but in all happy with product.